Blended with a high viscosity index, Dilex Supreme Hydraulic Fluid with DYNAVIS® has the proper viscometric properties needed for maximum efficiency over a wide range of operating temperatures and pressures. Dilex Supreme Hydraulic Fluid with DYNAVIS® is made with high quality polyalphaolefin (PAO), synthetic base fluids and petroleum base fluids. Dilex Supreme Hydraulic Fluid with DYNAVIS® is engineered with a proven friction modifier, Micron Moly®, to reduce wear, and a proprietary additive, VarniShield, to protect valves against varnish. VarniShield® keeps your system running cooler – filters, strainers and valves remain clog-free enabling efficient full hydraulic oil flow rates. Further blended into our hydraulic fluid is DYNAVIS® additive technology to provide multi-grade functionality and wide temperature performance. This unique formula reduces internal pump leakages and improves volumetric efficiency, which results in better equipment productivity. Dilex Supreme Hydraulic Fluid with DYNAVIS® is formulated for mobile equipment such as, hydraulic excavators, hydraulic cranes, aerial bucket trucks, forestry equipment, and industrial hydraulic systems. Dilex Supreme Hydraulic Fluid with DYNAVIS® is recommended in hydraulic applications where protection against the formation of varnish deposits on close clearance servo-valves and other system components is critical and in applications that require the use of a high dielectric strength oil. High dielectric strength of 35 Kilovolts. Excellent resistance to oxidation and thermal degradation. Lowers operating temperatures and energy consumption. Reduces sludge and varnish buildup. Excellent film strength for extra protection against wear. 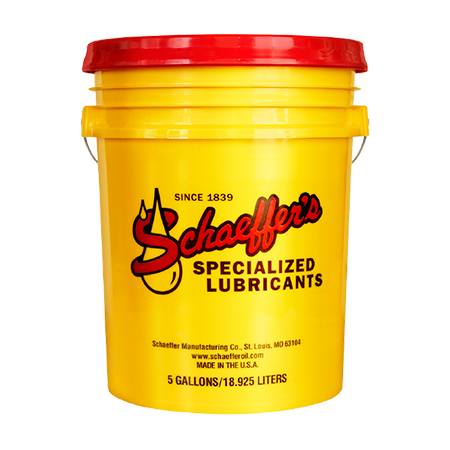 Compatibility with all types of seals and coatings. Excellent low temperature performance and responsiveness. Significantly less wear and tear on components.